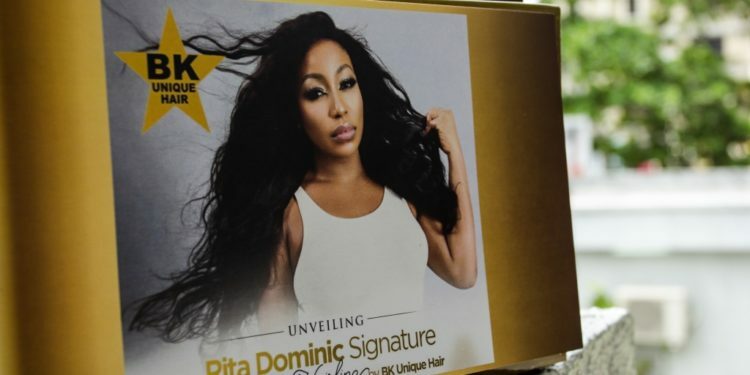 Nigerian Canadian Beauty entrepreneur, Blessing Kenneth welcomed renowned journalists as well as A List celebrities to the official store opening of BK UNIQUE HAIR in Lagos, and the launching of Rita Dominic Signature line at her Victoria Island Store on November 22nd, 2016. Founder and President of BK Unique Hair- Mrs Kenneth introduced herself along with her team comprising of Ada Anyanwu (Executive Assistant) and Yvonne Vixen Ekwere (Liaison) to the journalists. 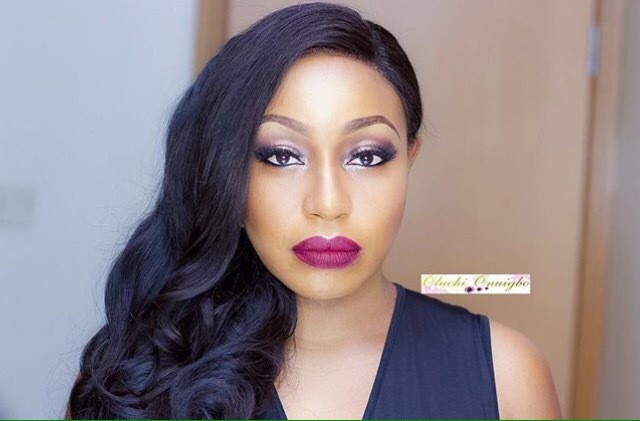 She ushered all into the BK Unique world by giving an overview of the brand, with a major focus on A list award winning actress Rita Dominic’s Signature Line she’s been working on for over a year. BK Unique Hair Inc. made its debut into the hair care industry in 2008 with skin wefts, and fully launched in 2011 in Canada. Mrs Kenneth is quoted “Through unwavering passion, commitment and dedication we have evolved as one of the top hair extension providers in North America & Internationally. Following the press briefing, it was an exciting afternoon filled with cheer as leading lady & Bk Unique Brand Ambassador Rita Dominic mingled with fans and celebrity friends including Kate Henshaw, Hilda Dokubo, Osas Ajibade, Toke Makinwa, Ugonna Omeruo, Idia Aisien and many more while sipping on some bubbly and enjoying luscious desserts. Guests were also treated to delectable treats, finger foods, cocktails, and customized gift bags. Together, Mrs Kenneth and Rita announced that proceeds from the sale of this signature line will be donated to cancer research as well as women undergoing cancer treatment. Bk Unique Hair is available for purchase at the BK Unique Hair Inc Store located in Sleek Studio Square- 141 Ahmadu Bello Way, Victoria Island Lagos. It will also be available in select salons around town shortly.